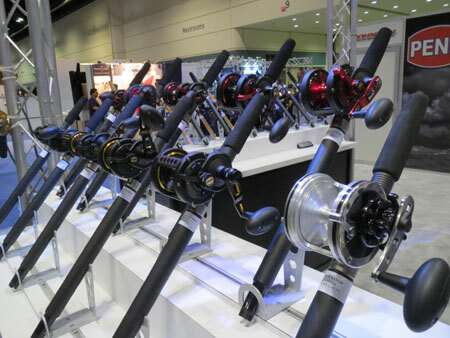 Many interesting new products shown off by the major players at ICAST this year. Penn and Pure Fishing (the parent company of Penn, Abu and is off to a great show with some wonderful new products coming our way. 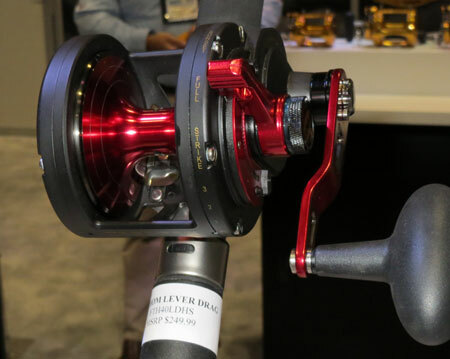 The won both the freshwater and saltwater best new reels awards. 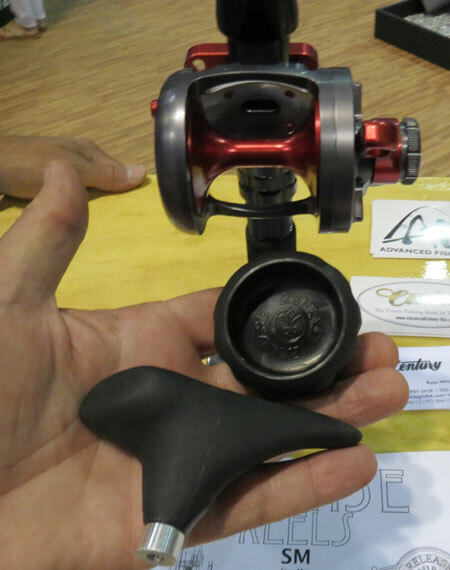 The new Battle II took the honors in saltwater, their Abu Revo Beast took the freshwater award. 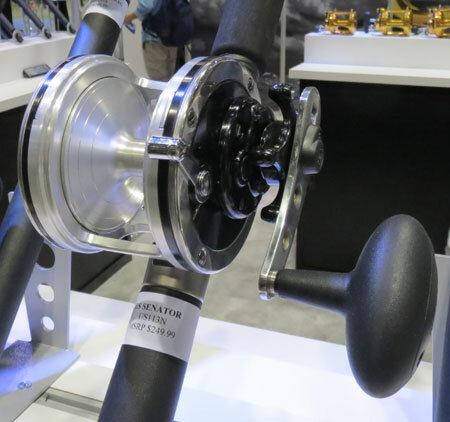 Other very notable products which gained my attention: Penn's new Fathom 2 speeds and single speed lever drags. They also showed off some interesting electric reels. Release had their Surf model available for showing, also will be doing some changes on the handles offered on their reels. Accurate has improved the cosmetics of their Fury series, and with the new models they took away the dogs and upgraded their one way bearing. 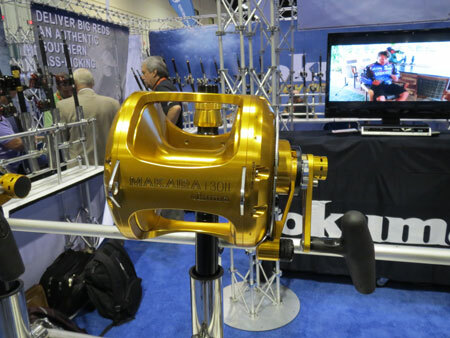 Okuma had a bunch of new spinning reels in their line up, some nice ones in my estimation. The Andros will have a new look for 2015, we won't see these for several months. 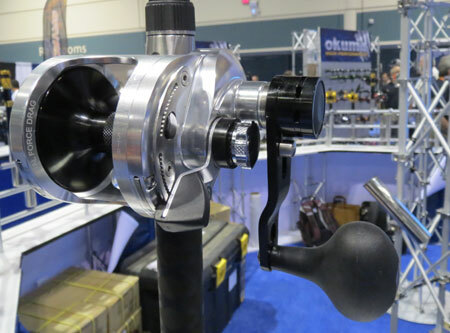 The have stirred the pot a bit by introducing their new Metaloid series of reels. These are very aggressively priced, from $189 to $259 for the single speeds (3 models), with two speeds coming in at a low of $219 to $299! The new Metaloids come to market soon - very soon like beginning of August if I'm hearing things right. 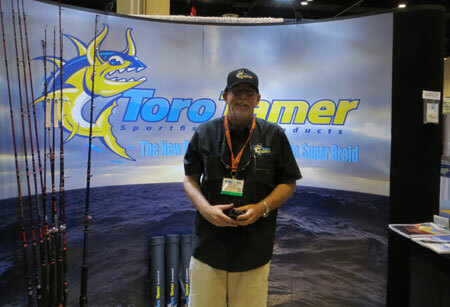 I was working at Toro Tamer's booth, so not much time to get together with manufacturers. Didn't get a chance to see what Daiwa had going or other folks. I'll have the chance to do that in the next couple days. The show was very well attended, a record turn out, but I think only a couple of guys from SoCal made the trip. The weather in Florida has been pretty darn amazing, nice in the mornings then big storms in the afternoon. Humid, naturally, that goes with the territory. Nice place to visit for sure, but I'll take our dry air back home. We sure could use the moisture. Heard that the tuna were going off 5 to 10 miles off the SoCal coast...what a time to be gone! New Andros - look for this late in the year, the current Andros reels are going away, there's going to be a gap in availability. 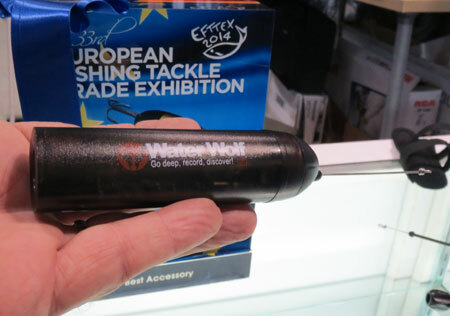 Very interesting in-line underwater camera from Okuma, won an award at EFTEX (ICAST in Europe). Before you grab the GoPro, you might want to check this one out. I saw some great shots, does very well in low light, easy to use and priced right at about 2 bills. Accurate updated the cosmetics of the Fury series. Pricing stays the same, now they are polished instead of brushed. There will be some changes to the BX single speeds, cast control going away, bearing improved. Release will update their handles, the metal will still be available as an added cost option. They'll have some color options on the knobs. Expect to see these in the next month or so. I did not get a chance to go over the Surf reel with them today, will post more on that model tomorrow. Hanging at the booth mostly, so I didn't get to spend much time scanning the show...yet. I did have the pleasure of spending time with Peter from United Composites. Actually he's not UC anymore. Peter was here with his partner Sam representing their distribution company in Australia. He handles Toro Tamer line there. The new owner of United Composites is Randy Penny formerly the product manager, chief designer, creative mind at Seeker. He moved on once Seeker was sold and now is the man in charge, chief bill payer with UC. That means we can expect GREAT things from UC (formerly GUSA - Graphite USA) in the future. UC has the technology, Randy has the skill. 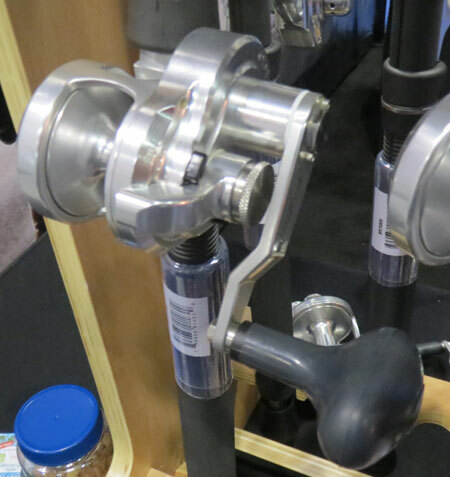 I think this will be the future we all wanted to see with UC, some of the best rods ever made and now they have a local owner operator with over 20 years experience building and designing rods behind 'em. Expect the New UC to become a very, very significant player in the saltwater scene. We'll be eagerly following this one, and I'm proud to say we received their VERY first blank last week before I took off for ICAST. That one is being shipped to a client of ours in Hawaii. We can now begin custom rod production, blanks are coming off the line NOW!!! And, the quality is PERFECT, exactly what we expect to see from UC. New Senators? That's a surprise. The Senators have more spool volume than you need, if you're fishing braid. 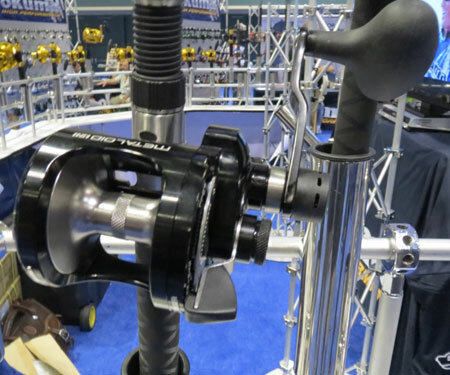 Steve Carson, are there large-arbor spools available to provide braid users with a speed of retrieve of a full spool while obviating the need for a monofilament base? Congratulations to Penn, in any case. 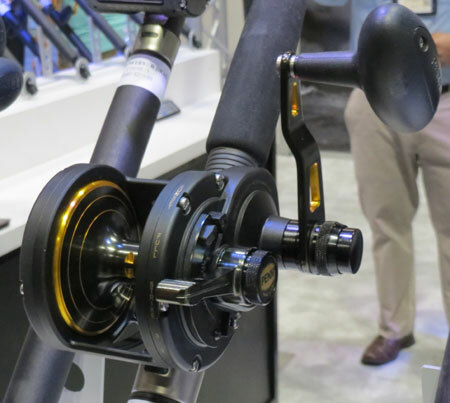 No cast control on the new Fury reels? Another item from Penn, there's one model of the Fathom LD's (single speed) that pulls a whopping 60 inches per crank! The model is made for the sailfish and kingfish tournament guys. 7:1 retrieve rate, appropriate drag for the application intended. On the Fury, negative no cast control and that feature will go away from the BX series, too. Sorry, no large arbor version of the new US Senators. The narrow version [replaces Baja Special] holds about 500 yards of 80-pound braid, or about 300 yards of 80 braid plus a 100 yard topshot of 40 or 50 pound mono.